According to reports, house prices are already beginning to plummet and have sparked interest from Chinese buyers. Economically and as expected, all areas are experiencing a downturn with the pound undergoing fluctuations and dropping as low as it ever has against the dollar in just over 30 years and additionally the FTSE 250 has not been steady since the exit. Frustrations are high with the property market, financial services and UK removals being among the first sectors to experience turbulence with the full blown effects not yet known and only to be revealed in due course. According to data from Justmoving.com, 35,000 people were polled who registered for removals quotes and other services in the four weeks before and after the referendum which highlighted the sharp decrease in house prices and transaction volumes dropping to lows of 8% with London, the Home Counties and Northern Ireland being the hardest hit so far. Additionally the average price of housing has dropped dramatically to 8% which is the largest month-on-month fall for over five years. Data also suggests that since the shock exit, the number of Britain’s attempting to flee the UK in a post Brexit economy has risen dramatically but not surprisingly with relocations abroad to places such as Spain, Canada, The USA and Germany just to name a few. 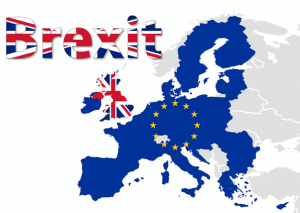 Many UK removals companies have clients in the EU which will be impacted upon by the new restrictions and now they will impact on business with having the option of hiring EU removals firms to move them back to the UK should they wish. Presently within the EU, we are free to move and enjoy an unrestricted labour force as a result; however, the movement of EU nationals will now be restricted which will have far and wide ranging ramifications which simply cannot be assessed until the damage has been done. Top economists and businesses are now keenly monitoring the situation and data to assess the ultimate damage. It is expected that services within these sectors will now remain price sensitive for quite some time.